A young lady, after seeing the country embrace Mother’s Day, thought to establish Father’s Day. This young woman’s father was a Civil War veteran and had to raise a newborn with five of his other children following the death of his wife at the newborn’s birth. This woman recalls the love and tender care her father had for their family and that fact that he raised them on his own. Her campaign led to the 1966 proclamation by then President Lyndon B. Johnson declaring Father’s Day to be the third Sunday in June. It seems that the role of the father was short-lived in the home as the liberation of women, equal opportunity for women and minorities and the media all contributed to the destruction of the father. Now this is not to say that there are not any great fathers today – there are tons. 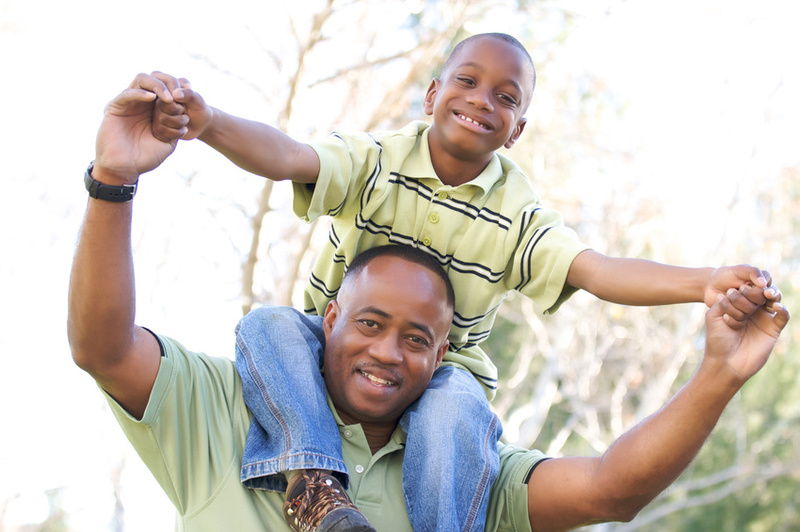 There are still men who care and love their families and have contributed greatly to the success of their children and their mental stability. What I am saying is that the number of truly great dad’s pale in comparison to the number that are bad, don’t care, are not trying or think they have done enough. America began to abandon its puritanical concept at the beginning of women’s liberation. Women needed to be liberated from the stereotypical roles forced on them by society. Along with these rules, women were trapped in these roles because our laws at the time did not protect them or provide a way for them to earn a decent living. Moreover, there were no guarantees to force the men to care for their children if they left. Today, new laws have given women the chance to earn just as much money as a man. She is now free to open her own door, die in wars, hear all the dirty jokes they want and stand up on crowded buses and subways without a man giving up his seat. And now the men are just free. When the women did the work that was stereotypically given to men, men did not, in turn, begin doing their work. This led to women having to work 40 hours or more per week and then come home and cook, clean and look after the kids. There still isn’t a rule that says a man even has to help, although it would be nice. Following liberation and new laws, the media helped to ensure that the role of the father would never be the same. The father went from being the steady, solid rock in the home that gave stability to the family and reinforced their core values, to being the buffoon and tail-end of all the jokes. If you are an avid TV watcher or at least enjoy watching TV land and Nick-at-Nite on cable, you will recall strong fathers like Ward Cleaver, Andy Griffith and Howard Cunningham. These fathers were traded in for weaker fathers such as Fred Flintstone, Fred Sanford and Archie Bunker. Then it got even worse as Peter Griffin (Family Guy), Homer Simpson and Cleveland Brown (the Cleveland show) began to dominate the sitcoms. These TV fathers helped shape expectations of fathers in the home. They have contributed to the destruction of the family and made dad nothing but a joke. We truly need a day to celebrate dads. I hope that it would be a day that males could be educated on what it takes to be a “real” dad. We need to remember when fathers chose to make sure their families knew they were loved, safe and secure. A time when fathers made sure their families never had to worry about them not coming home. We need to be reminded of a time when the fathers were the real heroes in their families and not some cartoon or some other fictitious character, but imitators in all aspects of our Father in heaven. Next Post Part 1: Is my heart right with God?